With hundreds to choose from it can be hard to work out the best telescope to buy. The first telescope I bought turned out to be the wrong one for me – it was a great model but it was heavy, bulky and didn’t pack up easily. This was a problem as I was living in a small apartment at the time. Also, I was a beginner with little spare time to learn and I found it too advanced for me. What the best telescope is for you will be the one that you end up using the most. Someone might recommend you the most powerful telescope in world, but if it doesn’t suit you it might just end up being an expensive ornament. In this article, we cover what the best telescope to buy might be for you whatever your circumstances. Whether you are a beginner or intermediate, or are buying for a child, we cover the pros and cons so you can work out what is best for you. As well as recommendations on the best telescopes to buy, provided below is you need to know to help make your choice. Including what different telescope types there are, what the different specifications mean, who the leading brands are, and what accessories you might need. 7. Telescope specifications: aperture, focal length and GoTo – what does it all mean? 12. 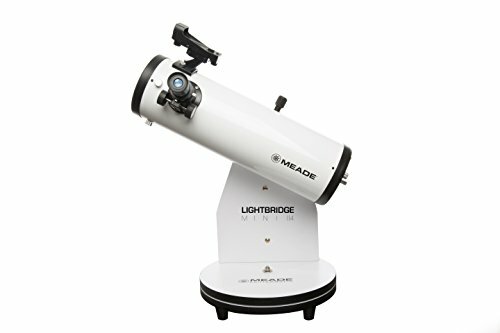 Conclusion: What is the best telescope for you? Below we recommend our top five telescopes for beginners that fit these criteria. For the reasons listed below, refractors make for great telescopes for beginners. Like this 80mm Celestron refracting telescope. Some people recommend large reflectors for beginners, however we do not agree that this is the best choice. The temptation to go for a reflector telescope is that you can get more bang for your buck, i.e. if you pay around the same price, you can get a more powerful reflector than you can refractor or compound telescope. However, they are much harder to learn how to use in comparison to point-and-look refractors. In addition, they tend to be heavy and bulky. It might not always be true, but many beginners tend to want something they can pull out into their garden or take on a trip and learn to get comfortable with over time. A lighter refractor allows you to grab-and-go and learn to master in your own time. This telescope fits that bill to a tee. We love the compact size which makes it perfectly portable and storable. It comes with easily-operable (alt-az) mount. There are also models at 90mm and 102mm apertures that you can check using the link below that offer steadily improving viewing capabilities. Accessories included are two 1.25” eyepieces (20mm and 10mm) and a finderscope. An alternative to a refractor (like the Celestron Astromaster above) is to have a small tabletop (Dobsonian) reflector telescope, like this model from Meade. It has a much larger aperture and therefore provides better imaging but is still relatively lightweight and small. The tabletop design means exactly what it seems, you’ll need a table or similar flat surface to put if on and this can work well if you have a garden table or similar to use. It’s something to think about if you are planning to use out on trips though when a tripod may make more sense. This is also a manual telescope, not GoTo. That may or may not be a disadvantage to you, but means it’ll be harder to locate and track objects. Putting all this together makes it a great ‘grab and go’ telescope. There is also a lower spec 82mm option if this is slightly above your budget. That option will still be good for moon and planetary viewing, but might struggle with deep sky objects. It comes with two eyepieces, a barlow lens and a red dot finder. 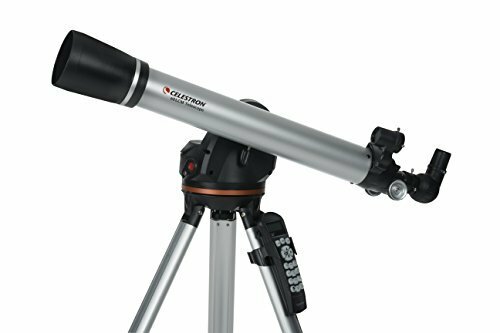 This is a good entry-level model from Celestron that combines the advantages of refracting telescopes with GoTo functionality. 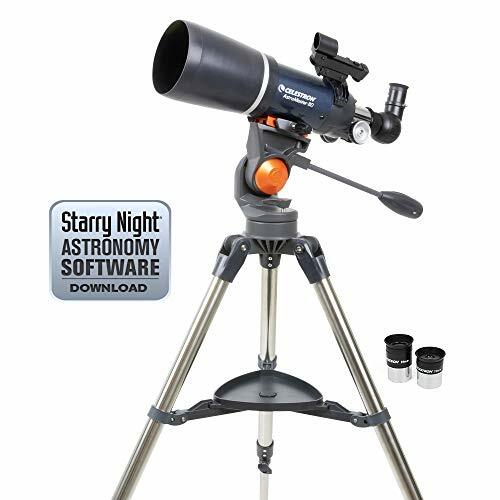 It is similar in specification to the Celestron AstroMaster 70AZ refractor covered above, but has additional GoTo functionality to make it easier to use and locate astronomical objects from a database of over 4000. It’s compact, lightweight and easy to use. There is also an 80mm version that will offer improved performance. Accessories include two 1.25” eyepieces (25mm and 9mm), a red dot finderscope, an erect image diagonal, and astronomy software. If you are after a more advanced refractor then this might suit you. Its extra capacity can offer a degree of future-proofing for you if you think you might want to upgrade in the future. With 90mm aperture it is a powerful telescope. It comes with an equatorial mount that you can use for tracking objects in the sky. With the extra performance in comparison to the above telescopes comes extra size and weight, as well as extra complexity in using the equatorial mount. 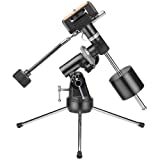 Accessories include the tripod and equatorial mount, two 1.25″ eyepieces (25mm and 10mm), 6×30 finder scope, 90-degree mirror diagonal (for comfortable nighttime performance), and astronomy software. If you have the budget, then you might want to consider a smaller compound telescope with GoTo functionality, such as the NexStar 4SE from Celestron. This is the smallest of the telescopes on this list and probably the easiest to use. It comes apart easily to a few components so it is easy to store or transport. It kind of ticks all the boxes but that also means it comes in a slightly higher price bracket than those offered above. 102mm aperture means that it’s powerful enough to see Saturn’s rings and features on the surface of the Moon from your backyard. You’ll need to take it out of town to an area with less light pollution to be able to see galaxies and deep space objects, but it has the power. Note that the “4” in the “4SE” refers to the 4-inch (102mm) aperture, and there are near-identical models with larger apertures you can upgrade in power to the 5-inch (5SE), 6-inch (6SE) and 8-inch (8SE). Each one offers steadily better astronomical viewing. If you want to be able to see deep sky objects from a light polluted area (a town or city) you’ll need to go for one of the higher aperture models. The in-built GoTo technology means that it will find whatever you want to see in the sky from a database of over 40,000 objects in space at the push of a few buttons on the keypad that comes with it. Accessories include a finderscope and 25mm eyepiece. More serious or ambitious telescope users will want either a model that offers greater viewing possibilities while remaining reasonable in terms of cost, or the very best equipment for higher budgets. For those who consider themselves in this bracket, reflectors and catadioptric telescopes make good options. You can get more powerful viewing possibilities with these telescopes. Manual reflectors may take a bit more time and effort to learn and master but they can be perfect for the amateur enthusiast. Alternatively, those with higher budgets may want to explore the very best options, namely GoTo catadioptric telescopes with large apertures. Below we recommend the best 5 serious telescopes based on this logic. This telescope provides real bang-for-the-buck in terms of power. With 150mm (6-inch) aperture it provides great imaging possibilities even for city-dwellers (although you’ll always see more in dark sky areas). This model comes with a tabletop alt-az mount for operation, though is not computerized, which is why you get so much power relative to price. The kit is delivered pre-assembled in the box for easy set-up and is relatively compact and light (weighing in at 23.5 lbs). 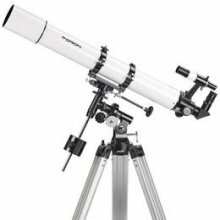 This telescope would be suitable for a keen beginner or older child if they are enthusiastic about learning and are ok handling a relatively large piece of equipment. 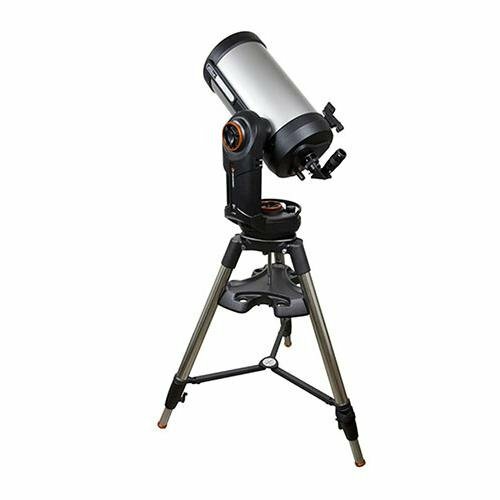 We’ve included it in this list though as it would also suit a keen hobbyist that already regards themselves as an amateur astronomer who would push the kit to its limits. The kit includes 25mm and 10mm 1.25″ telescope eyepieces. This telescope makes for a fantastically powerful piece of equipment for the enthusiastic amateur astronomer. With 8-inch (200mm) aperture it provides serious viewing capabilities. It is on a dobsonian mount which makes operation relatively easy (in comparison to an equatorial or traditional alt-az mount). This model has a collapsible tube which reduces the size and weight and makes it easier to pack up, store and transport. 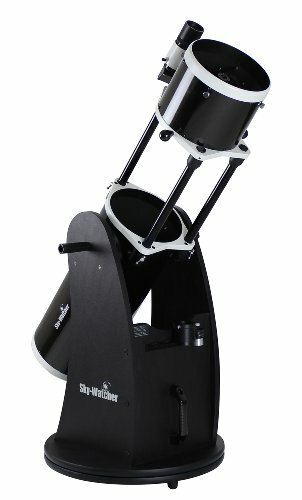 The same telescope is also available from Skywatcher in 10-inch, 12-inch and 14-inch aperture models. The larger the aperture the better the viewing, but also a higher cost, so see what you budget allows. 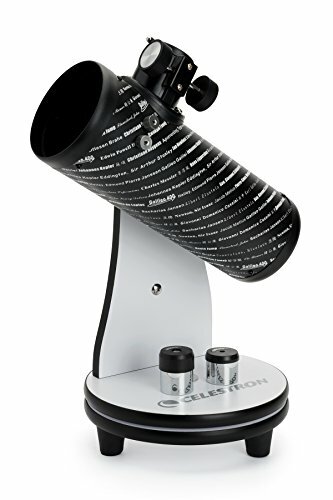 Skywatcher also offer the same telescope with computerized Go-To technology in-built (https://www.amazon.com/SkyWatcher-S11800-Collapsible-Dobsonian-8-Inch/dp/B00Z4G3BHE/), so you can choose whether you prefer manual or GoTo. Explore the options via the link below. The Celestron Nexstar GoTo telescopes are an extremely popular range of telescopes. This telescope from the range is a solid budget compound GoTo option. 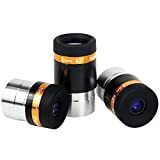 It has good 127mm (5-inch) aperture, is small and lightweight, and easy to use with the in-built computer to automatically locate space objects for you. 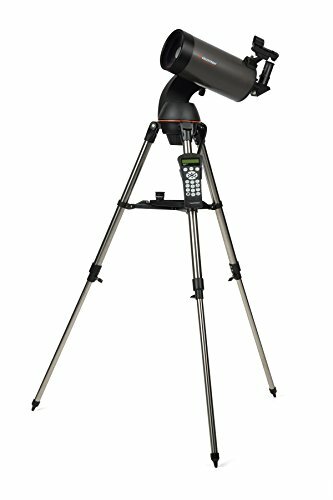 This is good, and slightly more powerful, alternative to the Celestron Nexstar 4SE but would also fit the bill for most beginners in terms of ease of use. This telescope offers great viewing capabilities combined with the GoTo ease-of-use that many will be looking for. It is of a good, manageable size and not too heavy. It has a whopping 9.25-inch aperture. This will open up many more viewing opportunities and provide brighter, clearer viewing of galaxies, nebulae, and far-off deep sky objects. This is a computerized telescope that can be operated via software that comes with it. There is always some work required it getting this set up right, but this is about as easy as it gets. Overall, the main pros are the combination of portability, ease-of-use and the viewing opportunities it provides. The main cons are the higher budget necessary and that extras are needed for certain things (for instance, an adapter if you want to attach a camera for astrophotography). Accessories included are two eyepieces (40mm & 13mm) and a red dot finderscope. 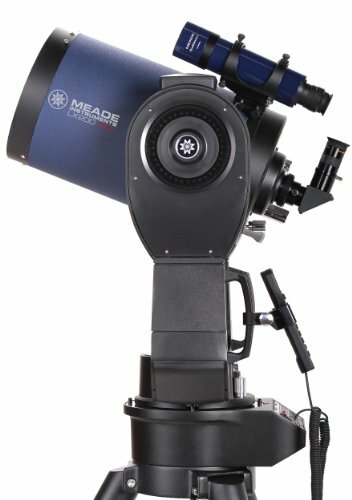 The Meade LX200 is aimed at intermediate and advanced users who will be able to make the most of the serious astronomy viewing capacity that it provides. The computerized telescope database can locate over 145,000 with great reliability. Alignment is taken care of via a GPS receiver. It’s relatively small and light for in comparison to similar telescopes in this bracket. This model has a large 10-inch aperture. There is also a slightly smaller 8-inch aperture versions, as well as even more powerful 12-inch and 14-inch versions. 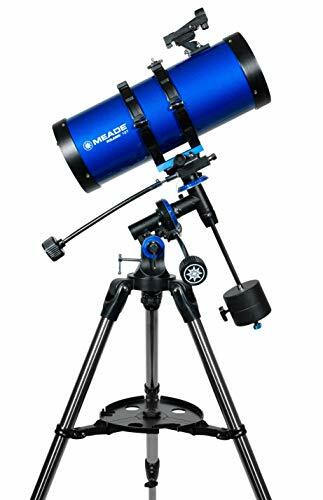 The 14-inch version is possibly the best telescope in the world for an amateur astronomer (at least before you start venturing into specialist, custom-build models). View the latest prices using the link below. The best telescope for kids will be easy to set up, easy to use, durable and, most of all, fun! A telescope can make a great present for a child. It can stimulate interest in the sciences and the wider world and also give parents something to do as a family. Below is a list of the best three telescopes for kids. This is a great little telescope that is intended as a first telescope for beginners and children (hence “Firstscope”). It is lightweight, portable and can be set up without tools. It is capable of providing views of planets and detail on the moon. Note that there are two versions of the Firstscope but we recommend to go for the option linked here that includes better accessories (a finderscope, red dot finder and two eyepieces) which will be worthwhile in the long run. You can probably gather from the name Funscope that this telescope is made for children. It is easy to use as well as being small and light. 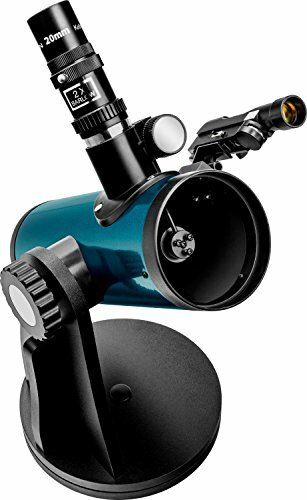 This and the model above are pretty similar in terms of performance, size and ease of use and so consider either if you think this type of tabletop telescope would fit your needs. This model includes useful a red dot finder and you’ll probably want to add some accessories later – like a tripod and Barlow lens to make the most of it. (If you want information on telescope accessories see our guide below). This telescope is designed to be highly portable and comes with a backpack so that it can be packed away easily and taken on trips. No tools are needed for setup, but a small child would need a bit of help getting the tripod up properly. It’s not specifically aimed at children but it ticks all the boxes in being easy to use, easy to transport and store, and not too expensive. For younger children, these three telescopes are perfect. They are easy to use, lightweight and relatively cheap. They are simple enough to get going with but also enough of a challenge that kid who enjoys it will be able to learn how to make the most of it and experiment with the different eyepieces and accessories. If your child is a bit older (say, 10+) then see the beginners telescopes earlier in this article. There you can get a bit more potential power and so the user will be able to get more out of it as they learn more. A basic “grown-up” refractor like the Celestron Astromaster might work for you or a more advanced tabletop telescope could make sense and give you better viewing power. The Meade Lightbridge Mini would be an option then. If your budget goes higher, then computerized (GoTo) telescopes provide a different option. With a computerized telescope, a computer is in-built into the telescope and it locates the planets and objects in space for you. This contrasts to a regular telescope where you need to locate the objects manually. This can save a lot of time and make stargazing much easier, but would only suit those with a higher budget, or for an adult to use together with a child. See the Celestron Nexstar 4SE in the beginner’s section as an example. We would not recommend large reflectors like the Celestron Powerseeker for kids though (or for any beginners). These telescopes are big and heavy, bulky to pack and store, and take a fair amount of learning to be able to use. It can be hard to know what to look for when buying a telescope – especially if it’s your first or you are buying for someone else. There are many different telescope brands as well as different telescope types with all sorts of different specifications. In order to help you with this, this guide gives you the basics of all you need to consider when buying a telescope. After this we tell you how to put it all together to choose the right telescope for you and provide our recommendations. We will go through each of these now so you understand what you need to know. 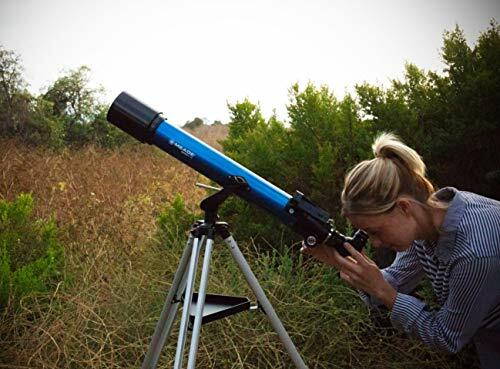 Refractor telescopes (often also called just “refractors” or “refracting telescopes”) are the type that most people picture when they think of a telescope. They feature the classic telescope tube that is narrower at one end where you look through and see what the other end is pointing at. Refractors have the eyepiece at the smaller end of the telescope tube. A refractor telescope uses a lens system to capture light. This is what distinguishes it from reflector telescopes that use mirror systems, and catadioptric telescopes that use a combination of mirrors and lenses. For most people, especially beginners, the internal lens/mirrors system might seem unimportant but refractors, reflectors and catadioptrics do have different characteristics that may make them more or less suitable for different telescope buyers. Refractors were the first types of telescope invented in the 1600’s. When amateur astronomy first became a popular hobby in the 1960s they were the best selling type of telescope. In the following decades their popularity fell as other kinds of telescope emerged. However, in recent years refractor telescopes have become more popular again as technological advancements have improved their performance in relation to price. In particular, the lenses have improved so the tubes can be shorter, and lighter materials have become more commonly used so they are less heavy. Both these things together mean that the performance of refractors has improved in relation to size and weight, as well as cost. They are the easiest to use of the three telescope types. They are usually portable and light to carry, so good as “grab-and-go” telescopes. They require the least maintenance of any of the three types of telescope. The lenses do not require any recoating as the mirrors occasionally do in reflector telescopes. No alignment or “collimation” of the telescope lens is needed. They generally provide good quality and performance in relation to price. Some cheaper refractors can suffer from something called “chromatic aberration” which is distortion around the edge of the image. More advanced refractors do not suffer from this. They need time to adjust to the temperature if being taken from inside a warm house, to outside in the cold or else the image suffers. As you have to look in the end which is lower to the ground you may have to bend or stoop when viewing. This might not seem like a big issue, but it really is if you plan to spend a good deal of time in any one astronomy session. Reflector telescopes are often just called “reflectors”, “reflective telescopes”, or “reflecting telescopes”. In addition, they are also referred to as “Newtonian telescopes” as they were first constructed by Sir Isaac Newton in the 1600s (you can see his original telescope here). You may also see them referred to as Dobsonian telescopes. This is specifically a Newtonian/reflector telescope on a specific type of mount (an altazimuth mount). We cover what the different mounts are in the accessories section of this article below. Reflectors tend to be quite large and heavy. The Eyepiece sits on the side of the main tube. Reflector telescopes differ from refractors in that they use a system of mirrors, rather than a lens. The light collected hits a mirror at the bottom of the telescope and then is reflected back up, and then out the side, into the eyepiece. Therefore, with a reflector you look into an eyepiece that sits on the side of the telescope, rather than at the end. They generally provide higher levels of performance in relation to price – that is, they offer the best aperture to price ratio. They can provide wide fields of view so you can see vast astronomy objects, like galaxies. They do not suffer from chromatic aberration (image distortion). They can be big, heavy and hard to store. The eyepiece can be in an awkward position (particularly if used with on an equatorial mount). They can have issues to degrade performance as a result of the mirrors. They require collimation (a type of adjustment needed to ensure good imaging). They are generally the hardest to use for beginners. Catadioptric telescopes (also known as compound telescopes) are the third type of telescope. These use a mixture of the lens system of refractors, and the mirror system of reflectors. The most common types of catadioptric telescopes are Schmidt-Cassegrains and Maksutov-Cassegrains. The differences relate to how they constructed internally. They are the most compact and lightweight telescope types, and so are easy to cary and assemble, as well as pack up and store. They have minimal viewing distortion. They are capable of good light gathering and wide field images. They have well-positioned eyepieces and are relatively easy to use. They are generally the most expensive telescope type. They can suffer from light loss due to the multiple internal mirror systems. Like refractors, they require time to adjust to outdoor temperatures or what you can see if affected. They require adjusting each time (collimation). Refractor telescopes are easiest to use but can be awkward for astronomy. Reflector telescopes provide good imaging and the best bang-for-buck in terms of power but are big, heavy and harder to use. It’s worth really thinking about what is best for you when buying a telescope. For most people a catadioptric telescope would provide the right combination of power, ease of use, and practical size, but you’ll need a bigger budget to buy one. If you don’t want to stretch that far, then you’ll want to work out where you want to compromise. Broadly speaking, refractors in the same price bracket as reflectors will be less powerful (lower aperture) but will be easier to use and lighter and more practical. Keep reading below for more information on how to choose the right telescope for you to buy and for recommended models. Once you’ve got your head around the three telescope types you’ll also be faced with a range of other specifications that you’ll need to understand to some degree. Aperture is the most important specification that you should pay attention to when buying a telescope. The aperture of a telescope is the diameter of its main lens or mirror. Essentially, the bigger the aperture, the more light can be gathered by the telescope and the sharper, brighter and more detailed the image will be. You therefore want a higher aperture in any telescope you buy. The trade off is that higher aperture telescopes cost more. A telescope with “GoTo” capabilities means that it comes with a motorized mount that is operated by a computer and can automatically point a telescope at astronomical objects that you choose from a database. GoTo telescopes are also known as “computerized telescopes”. They are operated either directly by a keypad or similar interface on the telescope, or via a remotely operated interface, such as an app your phone, tablet or computer. You can then command the mount to point the telescope to objects in space from a pre-programmed database, or celestial coordinates inputted manually by you. 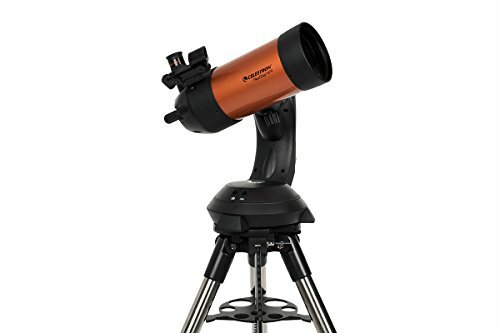 Should I get a GoTo telescope? It’s definitely a question worth thinking about when you are buying a telescope as to whether you want one with GoTo capabilities or a manually operated one. Having the telescope be able to find objects you want to see in space without you having to understand locating astronomical objects via coordinates can be a huge positive. This is really the one and only advantage. But it’s a pretty big one, especially for a beginner or for someone who is taking to astronomy casually and might only pull out their telescope a few times a year. They are more expensive. So for the same money you could get a more powerful manual telescope. 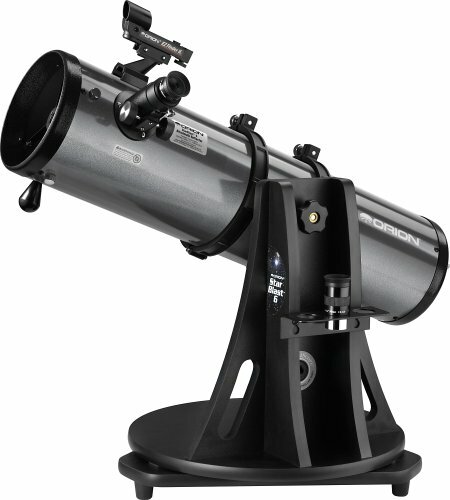 To illustrate you can see the Sky-Watcher 8″ Dobsonian telescopes offered both with and without GoTO in the intermediate telescopes section below. They can get in the way of learning astronomy. By allowing you to bypass understanding how it all works and skipping the educational aspects (this may or may not be a disadvantage in your eyes). Our advice – especially for beginners or for casual users – is to go for a GoTo telescope if your budget can stretch to it. It’ll make it easier to get results and so less likely that you might give up out of frustration or the sheer amount that you have to learn. In contrast, if you are already an experienced astronomer then you may prefer to get more telescope for your money by going for one without GoTo. For kids, there’s a bigger decision to ponder. A keen child may benefit from being encouraged to learn astronomy and how to locate things with a manual telescope. Also, since they are cheaper without GoTo, you may prefer a manual telescope that you won’t be so upset if it gets broken. However, you might want something that delivers quicker results to use together as a family. It ultimately depends on the individual child and their parents or people that know them best. We have recommended cheaper, non-GoTo telescopes as the best starter telescopes for kids in this article. The focal length is another measurement that is included with telescopes and it can be confusing as to what this means, especially versus aperture. Focal length is the distance between the objective (the lens or primary mirror of the telescope), to the point where it focuses the light (the eyepiece). With a refractor telescope, the focal length will be a linear measurement from the lens to the eyepiece, and so it is essentially the length of the telescope tube. With a reflector or catadioptric telescope focal length is based on how far the light travels inside the tube via the mirror system and to the eyepiece. This is why the focal length measurement is longer than the tube length in these types of telescope and why they can be smaller but have similar magnification to refractors with the same focal length. The focal ratio of a telescope is the focal length divided by aperture. The resulting figure is known as the f-number and is written as f/10, f/15 etc. Higher focal ratio means more magnification but the downside is that it also means a narrower field of view. A telescope with 100mm aperture and 1000mm focal length will have a focal ratio of f/10. A telescope with a 114mm aperture and a 450mm focal length will have a focal ratio of f/3.95. The f-number can give you an indication of the size and portability of a telescope as smaller f/ratios equal shorter telescope tubes. The f/number is the same as the f/number you would see on a camera lens and so is significant if you plan on taking photos through your telescope. Essentially, the smaller the ratio, the “faster” the telescope is. This means it gathers more light in a shorter period of time. This reduces exposure times and makes it easier to photograph the moving objects that you are tracking for your image. Read our ultimate beginners guide to astrophotography to learn more about this (including astrophotography both with and without a telescope). Lastly, the magnification of a telescope is the number of times bigger an object appears when compared to viewing it with the naked eye. A magnification of 10x means what you are looking at will look ten times larger than when viewed unmagnified. Magnification is calculated by the focal length of the telescope divided by the focal length of the eyepiece you are using. So this can be altered by using different eyepieces. For example, if you use a 25mm eyepiece with a 1500mm focal length telescope you get a magnification of 60x. Use a 10mm eyepiece with the same telescope and you get a 150x magnification. As you can see, the longer the telescope focal length and the shorter the eyepiece focal length, the higher the magnification achieved. One thing to note though is that higher magnification is not always what is best. For instance, with higher magnification your telescope is much more sensitive to vibrations that can come from the wind or other factors and this impacts the images. Should I prioritize aperture or focal length in a telescope? As mentioned above, the aperture is the key measurement of your telescopes capabilities and this should be what you prioritize when making your choice. For seeing the planets and the moon, long focal length is best as you will benefit from the higher magnification to view details on these objects that are relatively close. For viewing galaxies and deep sky objects that are much further away, short focal length is better as it gives you a wider field of view and aperture is more important as it means more light is gathered to enable you to see these objects that would otherwise be very faint. This is not to say that every telescope made by these manufacturers will be great. Or that a telescope made by other brands will be poor, but these are the most popular brands and have been around for some time. As such they are experienced in producing reliable equipment for different budgets and have reputations to protect. Therefore all offer useful after-purchase customer service through their websites. One thing that is worthy of note is that many popular telescopes are manufactured by the same few companies in China and Taiwan and then rebranded and sold under different brands. For example, both Celestron and Sky-Watcher are owned by the Synta Technology Corporation of Taiwan (source), who also manufacture telescopes for Orion (although Orion remains independent and US-owned (source). Another is the Chinese manufacturer Guan Sheng Optical (GSO), who produce telescopes to be sold under their own brand as well as through companies like Orion, Zhumell and Apertura, amongst others. This can then lead to situations were very similar telescopes are produced by these manufactured and tweaked and rebranded by the leading brands. There is nothing wrong with this but if you do your research and decide what telescope you want, you may be able to find it sold under different brands for different prices. However, there are reasons why it might still be a good option to favor Celestron, Orion, Meade or Sky-Watcher etc, and that is that they are US-based companies that will provide good customer service. Some other telescope companies are now just brands carried on by the overseas manufacturers for marketing purposes. For example, Gskyer were previously a German manufacturer of telescopes but they went out of business as a company some years ago (source). The brand name lives on as it is being used by another Chinese manufacturer. This doesn’t mean that there is anything wrong with the telescopes sold under this brand but it might mean that you won’t get much after-service if needed. To illustrate, there is no official Gskyer website or contact details for the company anymore. This may be an issue should you need support. They may be also unlikely to cover any warranty, although the seller (for example, Amazon) will probably provide one. Let’s bring all this together then – telescope type, specifications, brand – to work out how to decide on what the best telescope to buy is. What the best telescope to buy for you will depend on a number of factors that differ for each individual’s circumstances. Obviously you are going to get a telescope that allows you to see as much in the night sky as possible, but this will need to be balanced with other factors. The key thing you are going to want is as high aperture as possible. This means improved brightness and detail of what you can see. Please review the section above if you want understand what the specicifications like aperture, focal length and magnification mean. Are you a beginner or experienced? How much time can you dedicate to learning? Is it for a young child, teenager or adult? You will have to decide if you (or the person using the telescope) are going to be able to invest a lot of time learning to use it or if it is more of a fun thing to have around and use occasionally. If it’s the second option then you are likely to favor a GoTo telescope which makes it much easier to find objects to view in space. Some telescopes are small and pack up easily, but others can be more heavy and awkward to store. Do you have space for a large telescope in your house or would you need to be able to pack it way? Also, do you want something you can pick up and take on trips? This is an important thing that can be overlooked when buying a telescope – size, weight, portability, and how easy it will be to store. If it is for a child, or you think you will be storing it in one place and using in another, then you should probably consider whether you want something that is smaller and lighter, and that can be moved around and stored easily. For my first telescope, I went a bit ambitious and bought a large reflector telescope which was heavy and awkward to store. It was a great telescope but wasn’t really ideal for living in an apartment in a city. If I’d made that decision now, I would have favored a smaller, more portable model and then looked to upgrade to a larger scope later when I had moved out to my more grown-up home. It’s worth noting that the performance of a telescope depends on where you are located and whether or not you have dark skies. Those living in big cities may need to consider higher performance (high aperture) in order to be able to spot objects in the sky due to light pollution. The big one – how much you want to spend? To an extent, the more you can afford the more you can expect from a telescope’s performance, but it’s best to work out what you are prepared to spend and then go for the one most suitable for you in your price range. and have GoTo functionality (so it is easier to use). As you’ll see, those telescopes that put all this together will be more expensive. Typically, this is what you can expect in the higher range catadioptric telescopes covered in the intermediate models below. Depending on your budget, you may want to work out what you are prepared to spend and then see what you are prepared to compromise on. For instance, is size and portability an issue to you? If not, get a reflector with a big aperture. If so, get a refractor or catadioptric telescope and sacrifice some aperture in exchange for a smaller size telescope. Or if you want to learn how to locate stars yourself, then maybe skip the GoTo and save money that way. There is no perfect answer, but there are plenty of great telescopes and we will recommend some of these above. When using a telescope you will need to understand a little about how the key accessories work as they will impact what you see (eyepieces and barlow lenses) and how easy it is to operate (mounts and tripods). Telescope eyepieces attach to your telescope and are what you look through. The differences between different eyepieces determine the magnification and field of view of a telescope. The magnification of a telescope is determined by dividing the focal length of the telescope by the focal length of the eyepiece. The field of view is the amount of sky visible through the eyepiece. Using higher magnification eyepieces results in a smaller piece of the sky, and therefore a smaller field of view. Different eyepieces are used for viewing different objects. For example, some objects, such as nebulae and star clusters, appear quite large and are best viewed at low magnifications (which give a wider field of view), whereas planets appear very small and are normally viewed with high-magnification eyepieces. A common misconception is that magnification is the most important aspect of a telescope but actually the diameter (aperture) of a telescope determines its power and different eyepieces are used to get the best view of a given object with often the best view at a low magnification. When buying a telescope it is worth looking at the comments made by other users as to the quality of the eyepieces that come with it as it may be that you’ll need to upgrade these. Doing so can have a great impact on improving what you see and so can be well worth it for a relatively low cost. The size of the eyepiece refers to the diameter of the tube – and whether or not it will fit on the barrel of your telescope’s focuser. Make sure to check when buying, but the most common one is the 1.25-inch eyepiece which has become industry standard. Barlow lenses are optional accessories that sit between your telescope’s focuser and your eyepiece. They usually double or triple the magnification of any eyepiece (depending on whether they are 2x or 3x etc.) and therefore provide some greater diversity to your viewing options when combined with different eyepieces. The downside of using a Barlow lens is that they can result in a degradation of the view via a slight blurring and as such are usually not recommended for use with astrophotography. When selecting a Barlow lens, make sure you choose one with the correct barrel size for the eyepieces you have. As mentioned above, most eyepieces are 1.25 inches these days, but be sure to check. A finderscope is a small scope mounted on top of your telescope that helps you aim at what you want to view. They have a much wider field of view than a telescope, making finding objects much easier. Alternatively, a telescope may use a red dot finder. This is also a tool for aiming but has no magnification and works by superimposing the image of a small red dot onto the night sky. A mount is an instrument that fits between your tripod and telescope and allows you to adjust where the telescope is pointing. Alt-Azimuth mounts are the most common and basic mount. They allow telescopes to be moved in altitude (up and down), or azimuth (side to side), as separate motions. Equatorial mounts are more sophisticated and work to automatically adjust where your telescope points in tune with the Earth’s rotation. This means that your telescope can follow what it is pointed at even when the earth moves. Mounts can be motorized which means you do not have to manually turn knobs for the mount to move and track objects. This increases precision and decreases the vibration that occurs when you touch your telescope. This can also be combined with computer-controlled GoTo technology to automatically locate and track objects from large databases. A telescope will generally sit on a tripod to enable you to use it when standing (or sitting). Look at the length of the tripod that comes with your telescope. Some can be quite short and would require you to stoop quite low. This is especially a problem with refractor telescopes where the eyepiece is located at the lower end. There are also differences in the sturdiness of quality tripods versus cheaper ones. A good tripod will be strong and will minimize any potential shake coming from the wind. Some telescopes are tabletop models, which can be perfect for some situations like backyard viewing, but consider where you will be using it and whether you might need to add a tripod to be able to use it in different places. Telescope tripods need to be heavy duty to be able to hold the weight. Usually, when you buy a telescope it will come with a mount and telescope as a package, but be sure to check. If your telescope does not have GoTo functionality, it is likely to be some educational resources which will probably not be essential to you although may be nice to have. 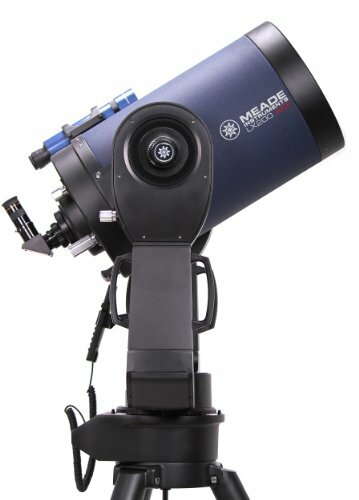 What is the best telescope for viewing planets? The best telescopes for viewing planets like Saturn and Jupiter will have a longer focal length – for good magnification and a narrow field of you – as well as higher aperture – which will improve brightness and the amount of detail you can see. The narrowness is what you want with viewing the planets in our solar system because they are relatively much closer to the Earth than far off stars and much smaller than galaxies that need a wide field of view to observe. You will also need a high power eyepiece for magnification. 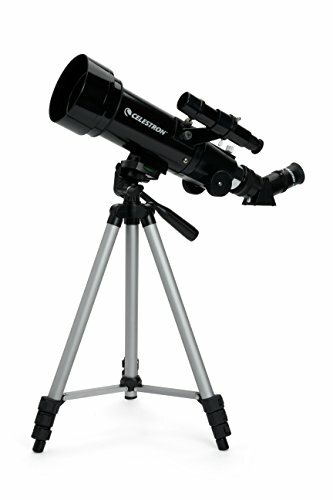 What is the best telescope for viewing the moon? The moon is the closest, and therefore easiest, object to see through a telescope. You can therefore do this with lower-spec telescopes recommended for beginners and kids above. Higher focal length will allow higher magnification and higher aperture will improve brightness and details. What is the best telescope for galaxies and deep sky viewing? The best telescopes for viewing deep sky objects like galaxies will be ones with large apertures of at least 8 inches (200+ mm). Good examples would be the SkyWatcher 8-inch Dobsonian or the Celestron Nexstar Evolution 9.25-inch recommended above. You will need a low power eyepiece to give you a wide field of view. Should I start with astronomy binoculars? Astronomy binoculars can be great and have some advantages to telescopes, such as being smaller, easier to use and cheaper. However, even if you get a great pair of binoculars, you’ll almost certainly want a telescope to go alongside them eventually so they are not really a replacement. If you want to know more, read our article on astronomy binoculars. There is quite a bit that any potential telescope buyer should know, but a beginner or first-time buyer should not be put off from this. There are plenty of telescopes designed to be easy-to-use and are great as a first step. The right telescope for you will be the one you end up using the most, so consider our advice here about balancing your priorities in terms of power, ease of use, convenience and your budget. We’ve covered here 13 of the best telescopes to buy and also suggested some alternatives, to hopefully give you all the information you need to make sure you find the right one for you. You may have noticed that all of these telescopes are made by either Orion, Meade Instruments, Sky-Watcher or Celestron. This is because these are the most consistent and reliable astronomy equipment manufacturers and have all been around for some time. This means they have reputations to hold up and so offer guarantees and customer support. Ultimately, you need to make a decision on what the best telescope to buy is based on all the four factors on which we have judged the above telescopes. Lastly, let us know your views in the comments section below – what do you think are the best telescopes to buy?